Single moms have the weight of the world on their shoulders. They have to take the kids to school, pick them up, feed them, help them with homework, make sure they are able to take advantage of as many opportunities as possible, ensure they get the sleep they need, and on and on the list goes. Even if there is strong support system or co-parenting agreement, the brunt falls on the single mom’s back. Without a working, reliable car, much of this becomes nearly impossible. There is no way to the grocery store. There is no way to pick up a sick child at school. Perhaps the most devastating, there is no way to work. While public transportation is available for some, there are many areas that do not have a public transportation system. In addition, it is difficult to handle children and maneuver public transit systems at the same time. The alternative options become either to stay home, or pay money that may not be available for a taxi service. 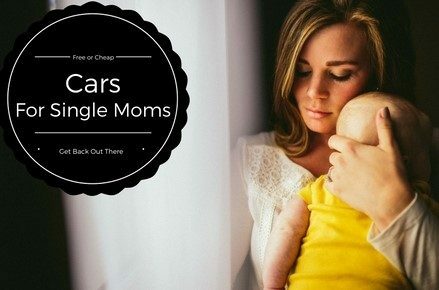 There are ways for single moms to get a free or cheap car however. Programs are available that realize the need, and work hard to put these hardworking moms in reliable vehicles to lessen the load and help them take steps to get their family into a better position. If you are a single mom trying to figure out how to get a free car for single moms, this should be your first stop. The site offers a searchable database of programs by area. Programs include those that offer free cars, as well as those that help moms find cheap cars or low-interest loans and grants that can be used on transportation. Each program varies, as does the number of programs in any given area. There may be a way to apply for a truly free car, or the options may be limited to guaranteed loans with low interest rates. A quick search can help you find what is available for you. This is perhaps one of the most popular sites for finding free cars if you are in need. It is easy to get started. All you do is create a free account and share your story. The story is made public on the site, and participants work to promote their story. The goal in promoting the story is to get votes from those visiting the site. The more votes your story has, the higher you move up on the waiting list. When a car is donated, the list of applicants in the area where the car is available is reviewed, and a recipients is selected based on votes and individual situation and need. Friends and family can vote for you! This program is currently only available in Chicago and the surrounding areas, but they are accepting requests for new chapters on their website. While they do offer cars free of charge, this is not a giveaway. Eligible applicants are required to make a two year commitment to the program in exchange for the vehicle. Programs participants take part in a variety of activities that can help better themselves and the lives of their families. These may include job training and counseling, among other things. The Vehicles for Change program is available in Maryland, Washington, D.C., and Virginia, but it is an excellent example of the types of programs available in various parts of the country. Since 1999 they have helped provide 5,190 cars for low-income families. Cars received in this program cost the family around $750, and they come with a low-interest guaranteed loan. Wheels4Hope repairs donated vehicles to sell as program cars to recipients. They also offer these cars for sale to the general public as a way to cover program costs. The cars offered to program participants are valued at $2,000 to $4,000 dollars. Recipients pay $500 and cover the cost of title and transfer fees. Wheels4Hope offers a 6-month warranty. Other options include local community and state grant or loan programs. A local community services agency can help you find these types of programs. Many offer grants to single moms that can be used to purchase reliable transportation, and others offer low-interest loans with a guarantee that allows for financing even with bad credit. Am I Eligible for a Free Car, Grant, or Loan? Except for FreeCharityCars.org, most programs require application through a caseworker at a partner agency. These may include religious organizations, non-profits, or community services agencies. In today’s society, having access to reliable transportation is essential to living a productive, successful life. That is not to say it is not possible to do these things without a car, but having a car makes it much easier and much more likely a single mom will be able to provide a better life for her children. If for no other reason than the ability to actually get to work, this is a hard truth. In addition, owning a car opens up many more opportunities for both parent and child. Parents can accept better jobs that pay more, even if they are further away. Children have a better chance of being allowed to participate in extracurricular activities because their moms are better able to transport them to and from these activities. If you are a single mom looking for a free or cheap car to help you get back on your feet and offer your children and yourself more and better opportunities, these resources can be a great help. A quick note though: beware of scams. Thoroughly research all offers, and always work through a certified agency if possible. I am a single divorced woman . I am in need of a car to get back and forth to a job. I’ve just fell on hard times after the divorce. Im a single pregnant mom with two small children already .. Im looking a donated car.. Not sure how to get one.. I know i cant afford one.. I am a single mom of a toddler and pregnant (15 weeks) I am in a abusive relationship and I want out but I don’t have a car and I really need a car to be able to work and get a decent job or even take my son to a babysitter.I don’t know what to do I need guidance.Im still legally married and my husband keeps telling me once he leaves the house I can no longer get transportation and I don’t want to depend on him.He thinks he can manipulate me because I have nowhere to go and no money.Please help!!! I am mother of 2 kids I am still married but separate men I married who fight for this country now is retired air force call himselve proud veteran. No .I come domestic violence from him hit 2 times front my kids . I am glad I am wy from him . Live is difficult. My car broke I can’t afford to fix it . I am stuck in house whit litle no food .I need help . Hi im a single mother of 4. 3 girls and 1 boy ages 8 6 4 and 1 1/2 and im asking for help. I had to drop out of school and lost my job all in one day because my car stopped running every since then I’ve been struggling to make ends meet I’ve been homless staying house to house and all im asking is for help nothing more. I am a single mother of a soon to be 2 year old and a 6 month old. I’m going through a divorce and don’t get child support. The only assistance I get is WIC and FoodStamps. I’m currently live at home with my parents again while going through my divorce and don’t have a vehicle. I don’t start working until November 13th, 2017 but, have no transportation. Please help!! Hello, My name is Stephanie. I’m a mommy of 4 young children ages 2,4 and 6 the forth is still in the oven . I love my kid’s so much and i hurt knowing they see me failing not only as a mom but I’m a single momso it’s getting really tough. If any help is available I’m here i can work from home/friends house other than that with the cost of daycare np ride and very difficult pregnancy I’m lost on what to do. I’m a single mother that needs transportation to get to work. I don’t have any money to buy a car. Free donation of a car would be greatly appreciated. I have 2 boys that I’m raising and have been since 2009 when my husband was killed. I recently got evicted from my house in San Bernardin, in Jan to be exact. I sent my 2 boys with my mother in law in Orange county and I have been homeless since then. I’m trying to get back on my feet but without reliable transportation or a home of my own it’s hard to get steady work anywhere. I’m 41 yrs old and I’m tired of bouncing around ever since I’ve been a widow. I just need a little bit of help with a good running car, I’m not even asking for a brand new,or even nice exterior. As long as tags are up to date and it runs guns. I would prefer a truck or minivan only because I do alot of recycling for money on the side. But I would take anything really. Hope u can help us. Thank u and may God bless. I am a single mother in need of transportation to get to work. I have a 5year old little boy that would also greatly benefit. I do not have the money to buy a car. A free donated car would help us both so much.